Bill Bookout is the current President and a founding member of the National Animal Supplement Council. He served as President from 2002 until May 2012, then returned as President in February 2014, and also serves as Chairman of the Board of Directors. Mr. Bookout was President of Genesis Limited, a company he founded in 1999, which provides both feed and health products for companion animals. In March 2012, Genesis was acquired by Kemin Industries, Inc., a privately held, family-owned company that has nearly 1,500 employees and operates in more than 90 countries. Mr. Bookout was Vice President of Global Sales at Kemin before reassuming the role of NASC President in 2014. 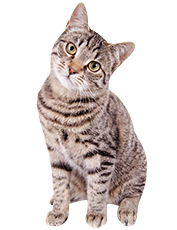 Mr. Bookout has been selected by Health Canada to serve on the Expert Advisory Committee for Veterinary Natural Health Products. 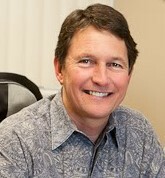 Prior to founding Genesis, he spent 15 years in the human medical device and animal health industries, including executive positions with Medex Medical, the All-Care Animal Referral Center (a specialty referral veterinary hospital) and AnaMed International, and was Director of Sales & Marketing for Marquest Medical Products. Mr. Bookout received his bachelor’s degree in physical sciences from the University of Wyoming and his master’s degree from the Pepperdine University Presidents and Key Executives MBA program. Dale Metz is a founding member of the National Animal Supplement Council and was appointed to the Board of Directors in 2002, where he currently serves as Vice President. Mr. Metz worked for over 20 years as a CPA for several firms, including long-standing employment with KPMG. Mr. Metz retired from accounting in 1998 and became CEO of FoodScience Corporation, a manufacturer of human and animal supplements. Once he joined the nutritional supplement industry, Mr. Metz identified the pet segment to be an area of growing opportunity and concluded that the key to a successful product was compliance. He worked with his manufacturers to develop highly palatable soft chews as a delivery system for nutritional supplements that pets would think were treats. Under his leadership, the company grew significantly and in 2013, Mr. Metz retired from his position as CEO. Mr. Metz went on to explore other opportunities in the animal health industry, ultimately deciding to manufacture his own products and founding his current company, Green Mountain Animal LLC. 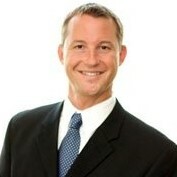 Mr. Metz attended Champlain College and Bentley University, where he received his B.S. in accounting, and also served in the Navy prior to college. Lorri Chavez was named to the National Animal Supplement Council Board of Directors in January 2003, and is also Director, Regulatory Affairs, for Central Garden & Pet (Farnam/Central Life Sciences). Prior to joining Farnam, Ms. Chavez served as Senior Manager, Regulatory Affairs, at Alliance Medical Corporation and as a Senior Regulatory Affairs Specialist at IMPRA, Inc., a division of C.R. Bard. From 1991-1998 she was a Project Manager at Ethicon Endo-Surgery, Inc., a division of Johnson & Johnson. 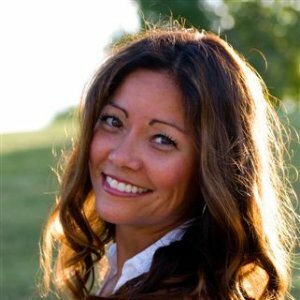 Ms. Chavez earned her bachelor’s degree in liberal arts from Xavier University, and her master’s degree, with an emphasis in healthcare management, from the University of Phoenix. She also earned her certification in regulatory affairs from the Regulatory Affairs Professional Society. Nick Hartog is a founding member of the National Animal Supplement Council Board of Directors. Prior to his involvement with NASC, Mr. Hartog was the founder and President of the National Association of Equine Supplement Manufacturers, a nonprofit group formed in 1999 with the goal of raising standards in the equine supplement industry. The NAESM combined with NASC in 2003. 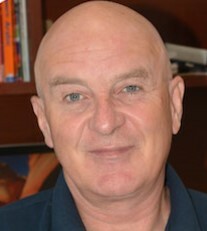 Mr. Hartog is currently President and co-owner of Grand Meadows Nutritional Supplements, Inc., a company he joined in 1997. A fierce advocate of improving standards, Mr. Hartog is a frequent source for articles about the equine supplement industry and has written for magazines such as Equus, The Northwest Horse Source, and The Horse. Prior to joining Grand Meadows, Mr. Hartog was a distributor for Rio Vista Equine Products on the east coast. Born in London, he earned his degree in economics at Balliol College in Oxford, England. Scott Garmon was named to the National Animal Supplement Council Board of Directors in 2003, and is also President and CEO of The Garmon Corporation/NaturVet. Mr. Garmon’s company was the first manufacturer to pass the comprehensive NASC Quality Control audit. 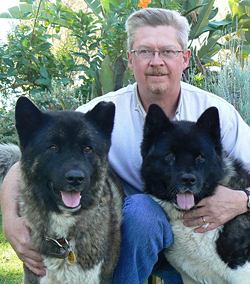 After earning his degree at Cal Poly Pomona, Mr. Garmon founded The Garmon Corporation and has successfully grown it into a premium manufacturer of natural dietary supplements for dogs, cats and horses. With the acquisition of GreenTree Laboratories, Pet Organics and Overby Farms, he has expanded the company’s product lines and evolved The Garmon Corporation into a diverse, multifunctional company. 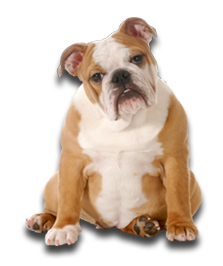 Garmon Corporation also provides extensive private labeling services for other well-known pet supplement firms. Paal Gisholt was named to the National Animal Supplement Council Board of Directors in 2002. He is responsible for the NASC Adverse Event Reporting System (NAERS), a proprietary application developed by NASC that provides FDA/CVM with unprecedented visibility on the safe use of animal supplements by NASC members. Mr. Gisholt was part of the founding team of NASC and a principal author of Compliance Plus, NASC’s comprehensive program to promote fair and consistent regulation of the animal supplement industry. 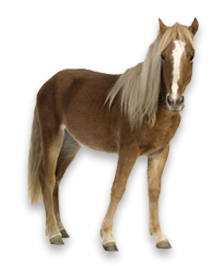 He is a co-founder and the former President and CEO of SmartPak Equine, the leading supplement retailer in the equestrian market. Prior to SmartPak, Mr. Gisholt was a general partner of Spray Venture Partners, a venture capital firm focused on medical technology. He got his start in the venture capital business with Advent International, where he focused on plastics and packaging, and later drug discovery, healthcare services, medical information technology and medical devices. 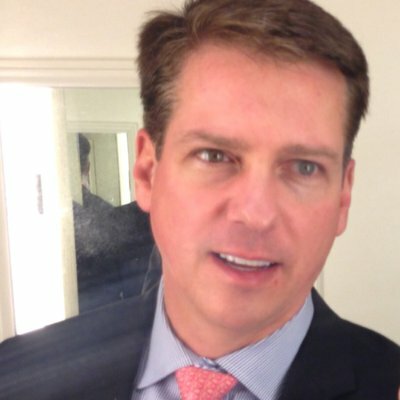 Mr. Gisholt began his career as a consultant with McKinsey & Co. He is a Phi Beta Kappa graduate of Dartmouth College and earned an MBA with distinction from Harvard Business School. Mike Uckele is a founding member of the National Animal Supplement Council and was elected to the Board of Directors in 2010 and 2013. 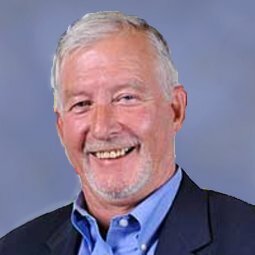 Mr. Uckele is a certified nutritionist, and is President, CEO, and third-generation owner of Uckele Health & Nutrition, a company with 50 years of worldwide experience, using proven advances in science, in the manufacturing of animal and human nutritional supplements. Mr. Uckele has worked extensively in the area of nutrition for more than 20 years, researching and developing unique formulations that address basic and specific nutritional needs for animals and people, including customized protocols for hundreds of professional and Olympic athletes worldwide. He is also a member of the American College of Sports Medicine, the American Oil Chemist Society, the International Society of Sports Nutrition, the American College for Advancement in Medicine, the Institute of Functional Medicine and the American Association of Integrative Medicine. In 2011, Mr. Uckele was recognized as the Michigan Small Business Person of the Year. He is a frequent resource for feature articles in national and regional nutrition publications, and earned his diploma as a Certified Nutritionist, as well as a bachelor’s degree in Business Administration, from Michigan State University. Chuck Hayden was elected to the National Animal Supplement Council Board of Directors in 2016. Mr. Hayden joined Trouw Nutrition USA in 2003, where he was tasked with building and growing the company’s pet food business. He currently serves as Trouw’s Vice President, Companion Animal Division, and in that role designed the company’s “science-based solutions” initiative. Mr. Hayden began his career with AMAX Chemical Phosphates where, after five years in sales, he was promoted to Vice President and General Sales Manager. He also worked as Regional Manager for Rhone Poulenc (today Adisseo), where he managed the sale of vitamins, enzymes and amino acids in the feed, food, cosmetic and nutraceutical industries. Throughout his career Mr. Hayden has been an outstanding leader in various feed industry organizations such as the American Feed Industry Association, Feed Industry Institute and Pet Food Institute. Mr. Hayden attended Southeast Missouri State University, where he earned his bachelor of science degree in Agricultural Business. Chuck Francis was re-elected to the National Animal Supplement Council board of directors in 2017, and is an NASC founding member who served on the board from 2001-2011. During that time he made significant strides in educating large retailers about the NASC mission and the benefits of working with suppliers that display the NASC Quality Seal on their products. Mr. Francis also compelled many of his friends and competitors to join NASC, selling them on the importance of working in unison to elevate the entire industry. Mr. Francis is currently president of NASC member company Vet Worthy Animal Wellness Products, which he founded in 2016. Vet Worthy recently completed construction of a state-of-the-art manufacturing facility in Tempe, AZ, and supplies natural dietary supplements to the pet industry for dogs and cats. 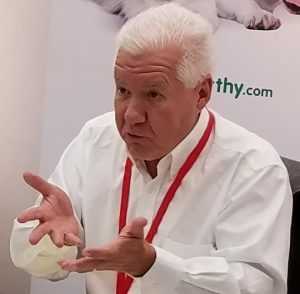 Mr. Francis was president and owner of Nutri-Vet LLC from 1998 – 2011, when he sold the company to an investment group and was required to sign a non-compete agreement, keeping him away from the industry until 2016. Mr. Francis earned his B.S. in accounting from Boise State University.